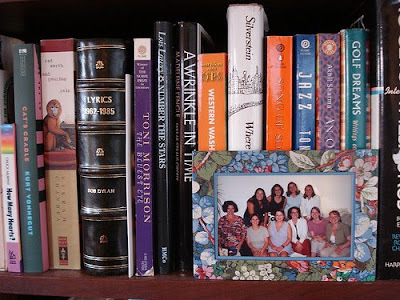 Ah, my beloved bookclub. We said goodbye over a gooey, carby, delicious bowl of bread pudding. Just to clarify - that's one bowl EACH of bread pudding. Guess what? They're coming to visit. Think we'll meet in Paris. A book club field trip not at all related to books! Ha! WE'RE ON A PLANE TO LUXEMBOURG! Bon Voyage Katy! BC will miss you terribly. Hey, don't be shy, if you need company on a grey Wednesday in Luxembourg, contact me !